Things are in full swing out here on the Mo. 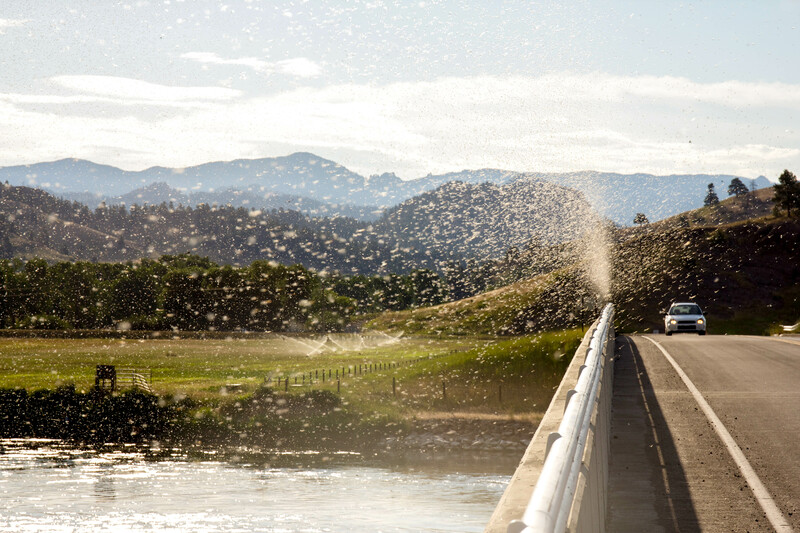 With water levels dropping to below 5000 cfs, the dry fly fishing has picked up substantially. The weather has been very hot lately, but the fish don’t seem to mind too much. The early morning, up until around lunch time, has been excellent for dry fly fishing and nymphing. The middle of the day can be slow due to the heat, but once it starts to cool off around 5pm the fishing begins to pick up again. As of right now the weed beds aren’t too much of an issue for sub surface fishing. We’ll worry about those damn weeds in a few more weeks, but for now lets talk hatches. Trico season is upon us. They started hatching about a week ago, and have been showing up every morning since, in full force. There is a mix of PMD’s in the bunch still, and the fish haven’t stopped eating them either. The earlier you can get on the water to fish the morning hatches, the better. The tricos won’t fall until between 9-10am, but the fishing is excellent before then. Fish will be up taking any number of different flies. PMD spinners, PMD duns, PMD cripples, rusty spinners, trico duns, and trico spinners will all get the job done in the morning. 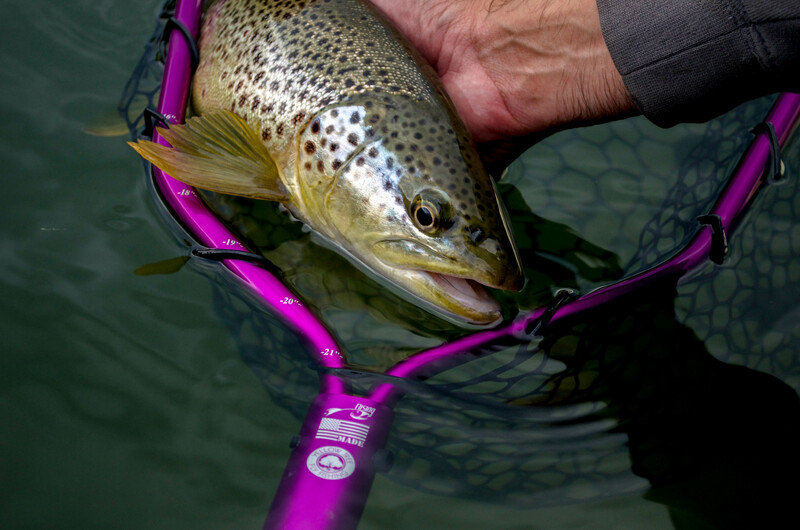 If you are having a hard time catching a rising trout try lighter tippet, or go smaller on your fly. Start out fishing with a relatively long 5x leader (10ft or more) and if the fish are being picky add some more 5x on, or even 6x (usually not necessary). We’d recommend starting with a size 16 dry and going smaller if the fish are not eating. Most of the time fish will be eating tricos in a pod of at least five. A good option for that situation is to tie on a size 18 rusty spinner. More times than not, with a good drift of course, a fish in the pod will scarf down that fly. Nymphing in the early morning has been excellent too. Try to focus on faster water that is between 3-6 feet deep. When you find water that matches that description fish PMD nymphs roughly six feet deep. Good patterns for this are: 14-16 Weight fly, 16-18 psycho may, 16-18 green machine, 14-18 pheasant tail, 16-18 Hogan’s military may, or Hogan’s S & M. If you aren’t ticking bottom when you nymph these runs then you need to lengthen up your approach by either adding split or moving the indicator up on your leader. Another classic spot to pick up some trout on nymphs is in swirling water. There are lots of eddies that hold fish, and if you drop a nymph rig in them the chances are pretty solid that you will hook up. Nymphing in the afternoon isn’t too much different than the morning. Switch out your PMD patterns for caddis ones. Some of the PMD patterns are also excellent caddis patterns too, the best example being the psycho may. A purple weight fly is also a classic pattern for afternoon nymphing this time of year. The afternoon fishing has been lights out for dry fly fishermen. Caddis hatches have been coming in tremendously thick, and the fish are eating them on top. There are also still spinners on the water and the fish will occasionally take a rusty spinner (what’s new). Dry fly patterns for the afternoon: 14-18 double duck caddis, 14-18 corn fed caddis, 14-18 stocking wing caddis, 16-20 rusty spinner/PMD spinner. A CDC caddis emerger is also a good option for fish that are in the film just below the surface. Usually 4x leaders will get the job done while throwing caddis, but if you are getting refused try some 5x, or a smaller fly. Feel it out, caddis fishing is one of the best times to be out on the water, so get creative and mix up your fly selection if you aren’t getting eats. Well, that’s a brief description of what’s going down on the Mo right now! If you have any other questions feel free to come by the shop, or give us a call and we will do our best to help you out. Tight lines.